Now that you’ve seen “Jughead,” you know just how extraordinarily game-changing it was. Not only did Charlotte most likely die, but more importantly, it was revealed that back in the 1950s, Charles Widmore was an Other. This changes just about everything we knew or thought we knew about the man who commissioned the freighter. His feud with Ben finally makes sense. Sure, we still don’t know what caused them to become bitter rivals, but knowing that Widmore used to live on the Island gives us a pretty good idea how it started. It also informs everything he’s done up to this point, and while I genuinely assume the Lost writers are making it up as they go along, the fact that Widmore used to live on the Island is something that definitely seems to have been planned all along. Everything he’s done makes perfect sense now. Also, it was nice to see a softer side of Charles. I’m not talking about back on the Island, when he was a lowly Other who got chewed out by his superiors. I mean the Charles Widmore who asks about his daughter, not for some evil motive, but because he knows what Ben is capable of and fears for her life. The episode also helped to fill in some other big plot holes from last season. 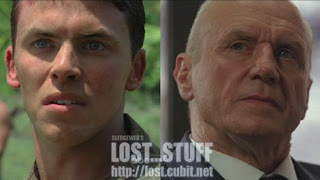 Why was Richard Alpert present at Locke’s birth and why did he visit him as a young child? It’s because Locke told him to do it, and I’m beginning to suspect that’s only the start of things that were predetermined. Why did Alpert recruit Juliet? Because he met her in the past. Why did Widmore pay for Faraday’s studies? Because he met him in the past. With this time traveling plot, everything can be explained. Lost is great once again because, after four long seasons of posing some huge questions about what’s going on, “Jughead” felt like it contained nothing but answers. Cool blog, check out my blog for the dirt cheap nosebleed tickets and discount merchandise.